THE emergence and confluence of black and fear propaganda on the heels of May 13 elections are too coordinated and well-orchestrated that it only succeeded in portraying how distraught the political opposition had become. It revives that infamous and desperate “oust Duterte” plot of an unlikely cabal of religious and communist terrorists, the so-called legal fronts of the CPP-NPA-NDF, Kadamay, remnants of the vanishing Yellow brigades and the oligarchs that exploit them, pan-handling non-government human rights watch organizations and a phalanx of media organizations and personalities. They all pounce and punch Duterte thinking that if they will not succeed in ousting him they can at least boost the chances of their candidates in the coming polls. You can easily spot them including the series of unexpected events that had been used to stoke the fire of hate and disenchantment. When Manila Water spigots suddenly ran dry, everyone thought the dams went dry. 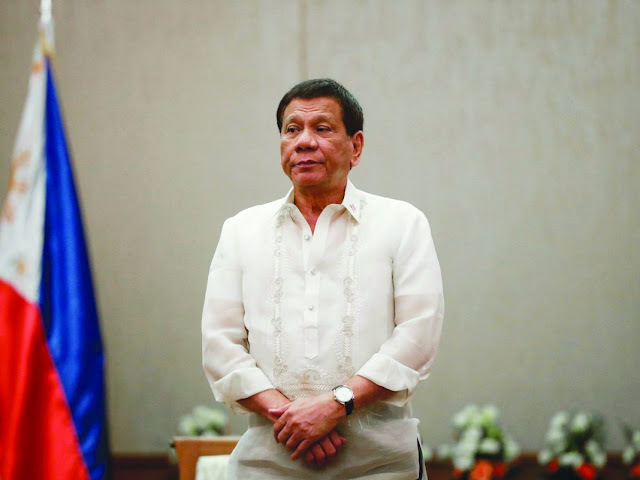 When informed sources bared that there’s water enough to last for 150 days an angry President Rodrigo Duterte blew his top, ordered Manila Waters to open the pipes and warned Metropolitan Waterworks and Sewerage Authority to shape up or be shipped out. Eureka! Water started to flow from the taps. The threats of extended drought and inadequacy of water supply had always haunted the national capital region. When Duterte prodded government functionaries to fast-track the construction of Kaliwa dam with China contractor and loan, the critics were fast to denounce the idea saying that Japan can do the project at a much lesser cost by constructing a weir instead. A weir is run-of-river structure while a dam can impound water and maybe harnessed for hydropower plant or irrigation. The Duterte government early on, included the Chico river dam multi-purpose project to irrigate thousands of hectares of arable lands and make these productive. Because China was offering long-term loans and cheap money. This project was in the initial list of big-ticket projects which government planners approved. Nobody raised a voice of protest then. And then out of the blue, an aging Alberto del Rosario resurrected and along with Justice Antonio Carpio and ex-Ombudsman Conchita Morales Carpio suddenly mounted an attack on the Duterte government assailing it for incurring loans from China which the government, they warned, will not be able to pay. They proceeded to conjure a scenario where China will cede the islands in the West Philippine Seas and mine the oil deposits to settle the loans. My gosh, as they speak, The Philippines loan from China is not even 1% of the total indebtedness of the country. In his adopted country the Netherlands, meanwhile, Jose Ma. Sison, the chieftain of the New People’s Army, was given generous space in ABS-CBN denouncing Duterte for terminating peace negotiations. Which brings us to how a number of European countries have been falling prey to non-government organizations (NGOs) who are parading as human rights and environment watchdogs and literacy and truth crusaders. Time and again we witness how these pan-handling NGOs, some of them have inter-locking officers and members, parade in the streets parroting the same slogans, placards and masks. They use innocent groups like indigenous peoples and children. They take pictures and videos and together with their “project proposals” include these materials along with newspaper clippings submit these to donor foundations in Europe for funding. This is the same anatomy of grand deception used by NGO beneficiaries in Sri Lanka which funded the Tamil guerrillas that almost overthrow their government. Not until the government waged an all-out war against the “rebels” that the Tamils finally gave up. But like the New People’s Army of the Communist Party of the Philippines, they created havoc, murdered government officials, innocent civilians, pillage villages and demanded ransoms from corporate and small-scale farms and government contractors to name a few. The perdition created by these terrorists is unquantifiable it almost beg the question whether these donor countries in Europe, US of A and Canada are really friends of the Philippines or they nurture terror groups to weaken our country and in the aftermath yield to their pressures. Isn’t it a wonderment why the Netherlands still harbors the CPP/NPA chieftain Jose Ma. Sison despite their avowed abhorrence against terrorist organizations which listed CPP/NPA among them. Strange. Thus, Duterte will fight his own battle within and without. Within, because there are elements in our political spectrum, the oligarchy in the church and those that controls the industry and the media that bedevils his campaign against corruption, drug syndicates and organized crime. And because he refuses to be controlled by the domineering foreign powers and their yellow tentacles that are ensconced in their respective comfort zones, some retiring, some retired, some are suffering from the onset of Alzheimers and others irrelevant.